Our mineral fertilizer is made from pure raw materials, completely soluble in water and owe their excellent effect to the balanced combinations of nutrients, vitamins, plant hormones and trace elements. 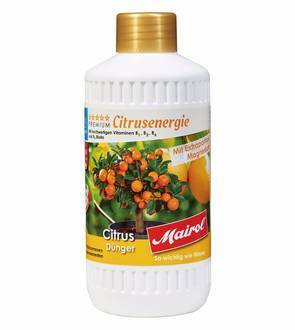 High yield: 0.5 litre of citrus fertilizer is sufficient for 125 liters of water. Use 4ml to 1l of water. Water minimum 2 times a month with fertilizer.